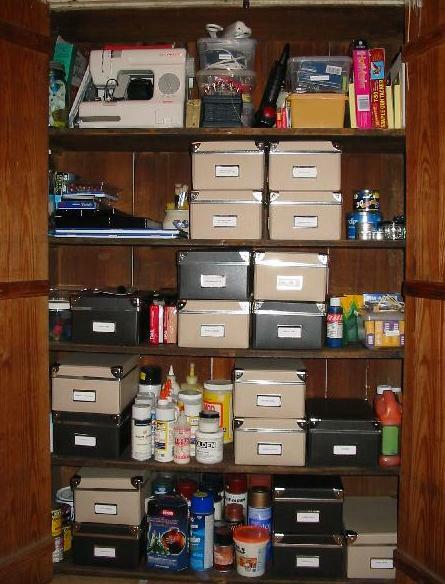 Often with clients, I will hear “I used to be so organized” or “I don’t know when it got so disorganized”. This is very common and mostly caused by a change that has occurred; a marriage, a child, a new job, no job, a divorce, a disease, all cases of change that make your old way of doing things obsolete. For example, I was hoping to file my business taxes this afternoon while my toddler napped. 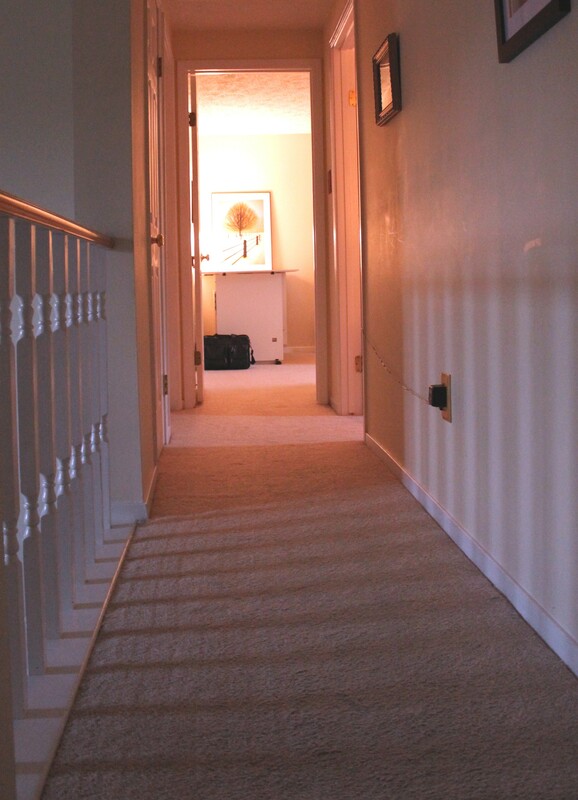 However, I have some documents in my office upstairs which just happens to be past her bedroom. There is no way that I will risk waking her up by walking past her door. Therefore I need to change the way I previously managed my office space in order for me to stay organized. This entry was posted in Getting Started, Need Help, Organizing: Situations and tagged crisis management, organize, organizing, time management on January 30, 2013 by Organizational Specialist. This entry was posted in Professional Organizing and tagged business, organize, organizing on January 29, 2013 by Organizational Specialist. At twelve pounds, my organizing kit is not so secret, but it definitely could be a weapon. Not every organizer feels the need to have 12 lbs of preparation, but I wouldn’t think of leaving home without my Organizing Kit! 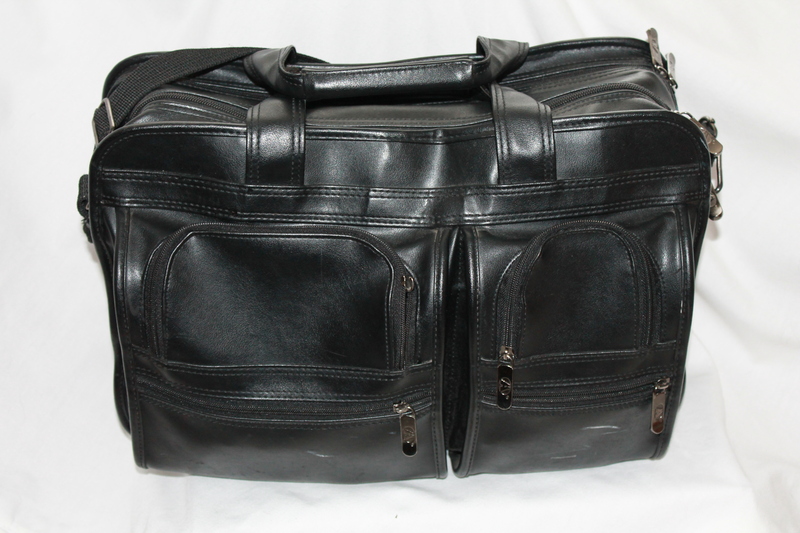 I love this briefcase because everything has its own compartment so I can immediately find exactly what I need. It also has a shoulder strap not just handle straps which can make a world of difference when you are carrying lots of organizing products. 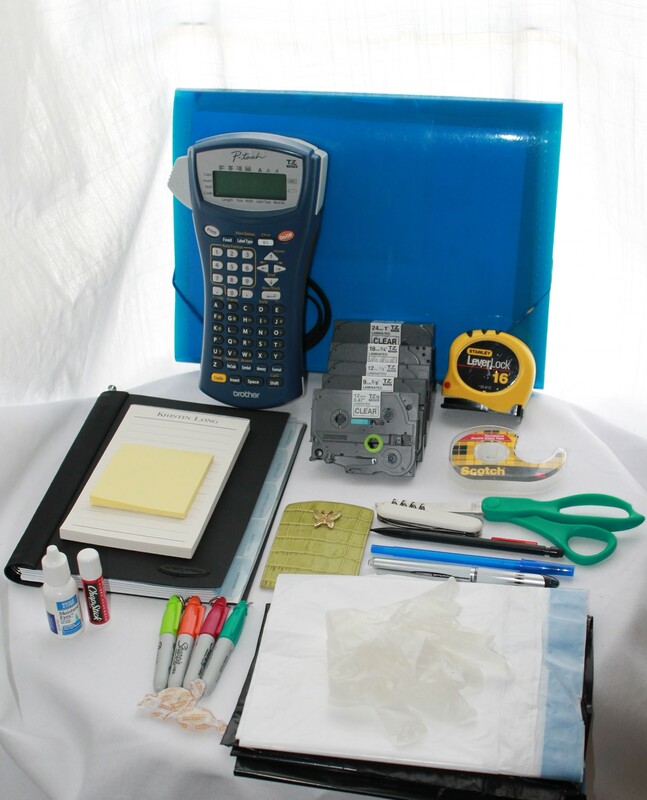 This entry was posted in Organizing: Supplies, Professional Organizing and tagged kits, labeler, organize, organizing, organizing kit on January 28, 2013 by Organizational Specialist. This entry was posted in Organizing: Supplies and tagged boxes, files, labeler, organizing, organizing products on January 26, 2013 by Organizational Specialist. There are several different ways to organize a garage, however I have a method that has really worked for me and I have great success with. This entry was posted in Garage, Organizing: Space and tagged Garage, Garage storage, organize, organizing on January 25, 2013 by Organizational Specialist. One of the hardest things for me to learn is that organization is not about perfection, that is why I came up with the definition Know what you have, Know where you have it, and Know why you have it. This reminds me to step back and access what the end goal is, to be organized or to be perfect. Some may argue that you can have both and I have worked with several clients and their substantial staff so that they could have a perfectly organized home. However, for those without a house manager, daily housekeeper, and personal assistant, I want to make sure you know you can be organized too, without having the extra help. I find that when people start the organizing process they expect perfection. However, perfection is almost impossible to maintain if you actually utilize your space. That is why so many people become discouraged in the organizing process if they can’t get it perfect why start at all? The piles form and it becomes more and more difficult to even get started. This entry was posted in Crafts, Getting Started, Organizing: Space and tagged Craft Organization, crafts, organize, organizing on January 23, 2013 by Organizational Specialist. Even on WordPress they allow for uncategorization, however in organizing there is no miscellaneous. 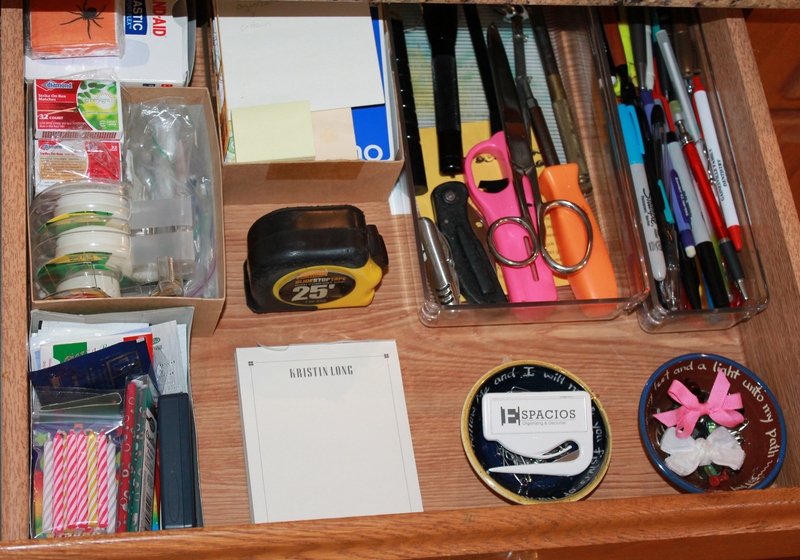 One of the biggest areas where I find miscellaneous is in the kitchen, specifically the ubiquitous junk drawer. This drawer tends to house the most unlikely items, I have even found a cat (who had been lost for three days) in one of my clients “junk drawers”. The easiest way to keep from having a miscellaneous is to Know what you have, Know where you have it, and Know why you have it. In order to demonstrate this in reality, I am including a picture of my kitchen office supply drawer for reference. Items are sorted via bins which makes it very easy to see what is in this drawer and where it belongs. I know it doesn’t look like it came out of Southern Living or Real Simple but that is because I actually use this drawer. One of the reasons I created this blog was to show that you can have organization without perfection. So many people get hung up on making it perfect that they don’t make it easy to maintain or even useable, allowing items to pile up and making an even bigger issue. 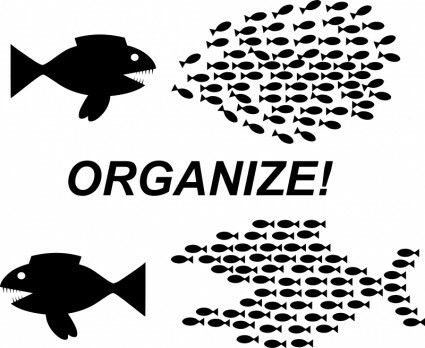 I would love to answer any questions you might have on this subject of miscellaneous categorization or any other organizing question, so feel free to comment or ask questions! This entry was posted in Getting Started, Home, Need Help, Organizing: Situations, Organizing: Space and tagged Junk Drawer, Kitchen, Office Supplies, organizing on January 23, 2013 by Organizational Specialist.